John Souttar understands that there are big demands at a club like Hearts and he is confident that his colleagues also know what is expected of them and have the character to deliver. That is despite the team passing up the opportunity to move into second spot in the Premiership table, with a flat, uninspiring performance against Kilmarnock on Wednesday. Unable to adapt to the well-prepped pressing game played by their hosts and still struggling with mis-firing strikers, the side failed to capitalise on Aberdeen’s slip-up the night before and allowed St Johnstone to leapfrog them into third. Souttar recognises that he and his team-mates now have a point to prove and need to quickly make amends when they head up to the Highlands to face up to Inverness tomorrow. “I don’t think there is any way we can hide what happened at Kilmarnock. It wasn’t a good performance. We had chances and didn’t take them, but it was a poor night and not good enough for a Hearts team to go anywhere and play like that,” said the young defender, who says he has not been distracted by reports of interest from Aston Villa and hasn’t even felt the need to discuss the speculation with his gaffer, stressing that he wants to stay put and focus on turning in consistently high quality performances for Hearts. “We have set high standards and demand a lot better of ourselves than that. You have to be at your top in every game and you have to demand high standards of yourselves. 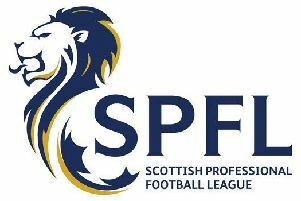 If you get slack and sloppy against any team in the Premiership, they will beat you, so you need to be at the top of your game.” Few of a maroon persuasion left Rugby Park satisfied on Wednesday night. The Hearts manager Robbie Neilson spoke of his frustration, while the fans have expressed their disquiet. Having lost just one game in eight in the run-up to that game, the defeat could be viewed as a mere blip but not at a club like Hearts, who are chasing better. The manager had set his men a target of nine points from nine in the three matches leading up to the next international break. Having dropped points in two of the three league games with Killie last term, picked up just one point from a possible six in Inverness, and won only one of the four head to heads with St Johnstone, he had given his men the challenge of improving on those statistics this season. Having failed at the first hurdle, they now have two more games in which to try to salvage some pride and prove they have the heart and the ability needed to advance. There were chances, with strikers Tony Watt and Bjorn Johnsen passing up gilt-edged openings and Jamie Walker forcing a save but the creative threat that allowed them to post five past Inverness when they met at Tynecastle earlier this season will have to be rediscovered quickly if they are to gain another win over Richie Foran’s men. “[Wednesday] was one of those nights where our chances didn’t go in,” added Souttar. “I thought there were spells when we passed the ball well, but that doesn’t matter if you lose 2-0. Kilmarnock scored two good goals, even though we felt we could have done better with them. We’ll watch the video analysis and see what we could do better. “It was a massive opportunity for us to go second, but it’s done now. There is nothing we can do about it, so we just need to be positive and move on. It’s up to us to concentrate on getting a performance and a win at Inverness. We need to get going again. “Every team in the league is going to have a poor performance, but it is about how you react and you need to get the right result. We have bounced back from bad results already this season and you need to because big teams don’t dwell on things.